I don't want to tell you anything about this game. You will probably just scroll down to see what number is at the bottom of this review. You don't care. You just want validation. I don't want to tell you anything about this game. You should play it for good or ill without any idea of what is to come or what is and isn't possible. I know that in the context of a review this an antithetical sentiment and doesn't really help you, the potential player, decide whether or not to give it a go. Of course, in the modern parlance, a written review doesn't help anyone to decide whether or not to play a game. In fact, it's more an exercise in tribalism. I play a game. then I write a review. The potential outcomes of this are I either like it or I don't. But that doesn't translate into a sale. It doesn't translate into a potential player picking up a game and playing. 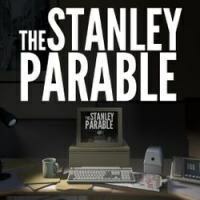 The potential player, let's call him Stanley for the sake of variety (there's only so many times that I can refer to you as “you” or in the abstract third person), will either buy the game or not buy the game. Whether or not this was in response to or in rejection of my positive or negative recommendation will never be known. This in turn leads to either Stanley agreeing with the review or not agreeing with the review. And this is the crossroads at which I am left. Any attempt on my part to inform, describe, or critique will be met with either acceptance and acquiescence or rejection and defiance. Everything has become binary about the games we enjoy and discuss. Everything is set to either an on or an off position. One or Zero. There is no middle ground, no state of in between. We choose yes or no, up or down, left or right. Or at least that is how everything is presented to us with big glaring signposts and through psychological enforcement. There exist degrees and outright rejections of the status quo along the railroaded lines of either/or situations. Stanley, are you hearing me? We can make more than a binary yes or no, with us or against us choice of self limitation. We can expand our minds and our understanding through actual engagement rather than dogmatic acceptance or simply dog piling those that disagree. I'm not your enemy. I'm not an antagonist to be conquered. I'm your ally in this endeavor we call art. We walk side by side. We converse along the road. Okay, sometimes the conversation devolves into awkward silence and we don't see eye to eye or try to avoid eye contact all together, but that's how it is suppose to work. Reviews and criticism in general are an effort that require give and take. We don't stand in the same place you and I, Stanley. (You know what? Out of fairness, I'm going to call you Mariella from now on.) We view the same thing, but, Mariella, you are standing over there with a different point of view from that of where I stand. The contours, the openness, or closeness of the work are shaded differently and consequently we come away with different impressions of what is there and how it affected us. From that we determine if it is any good or if we liked it, as they are not necessarily the same thing. All I can do is describe what I see and only combined with what you see, Mariella, can we begin to construct in our minds a vague picture of what is there. But it must be what is there. Another binary I have been accosted with is a denial of reality. We cannot complain about what is not there, Mariella. You may have wished for something else and you may have built something else in your mind, but it ultimately isn't there. Should I have to consider an option that does not exist to be part of an evaluation of something that does? Mariella answered no. How can one look at a broom closet and conclude it to be a green fish? There are limits to interpretation, and those end with what exists and what has been programmed in the art. Evaluation is about how well something did or did not achieve its desired goal. Its internal standing is how you rate a game. Mariella answered yes. Art does no exist in a vacuum. It influences and has been influenced by those around it. Any work is a part of an ecosystem to which its very existence and the choices it made regarding what to include or exclude exist as a commentary of such. Standing among others is how you rate a game. Oh no. You've broken it, Mariella. Stanley, how could you? After all we've been through and discussed. How could you say that a game must be rated. No. Don't look at the bottom. Don't look for a score. You'll ruin everything. Have I not done my best by you, Stanley? Have I not offered a piece of being to you, Mariella? You, the potential player, now wish to ignore me in favor of some scale of your own devising. It does not exist, Stanley. You seek only to undermine yourself. I implore you, I beg of you! Please, do not look at the score! But you will anyway. You've probably already scrolled down to see what number is at the bottom. You don't care. You just want validation, Stanley. We'll I'm not going to give it to you. That number isn't real. It was randomly generated. It means nothing. It's only a cruel joke on your impatience and insatiable curiosity. Ha!